Landscapes during the overlanding trip with Nomad Tours. Copyright Bunch of Backpackers. 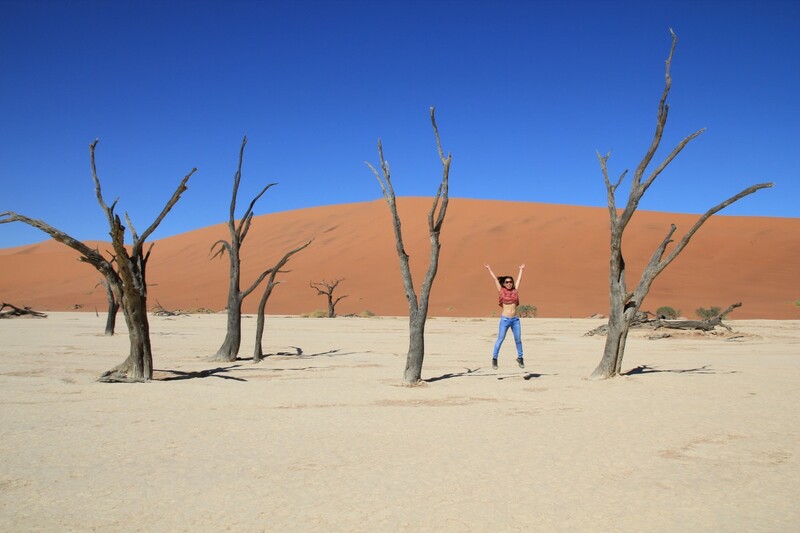 About my Nomad Tours Africa – Best of Namibia adventure! 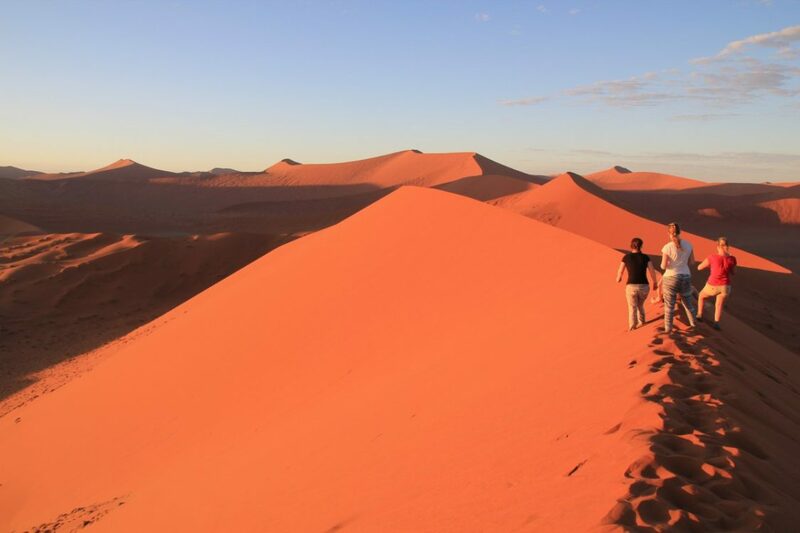 During my backpacking trip in Southern Africa, I heard from fellow backpackers that independent travel in Namibia is extremely challenging because of the desert and the lack of public transportation. Therefore, I decided to opt for an overlanding tour. After comparing different overlanding companies, I booked with ‘Nomad Tours Africa’ because of the price and itinerary. The tour was called Best of Namibia and it took me from Capetown (South Africa) to Windhoek (Namibia) in 12 days and 11 nights. 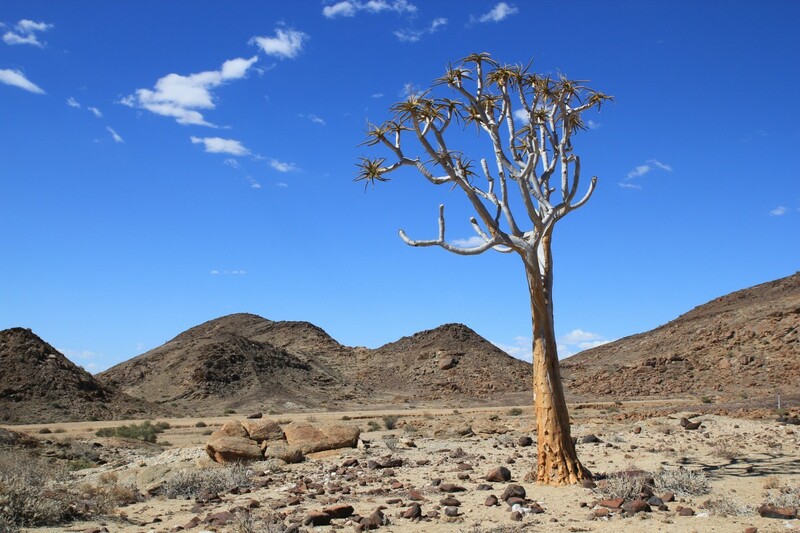 Visited places: Cederberg, Namqualand, Orange River, Fish River Canyon, Naukluft National Park, Sossusvlei, Swakopmund, Spitzkoppe, Etosha, Windhoek. 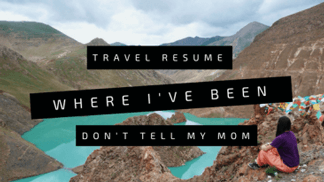 The itinerary and all the places we were able to visit with our truck were absolutely amazing! We had just enough ‘free time’ and drives were never too long. The truck is great! Comfortable seats, big lockers for your backpack etc. The food was good during the tour. The price. Prior to the trip, I calculated how much it would have approximately cost me if I did it independently (with separate tours to Etosha and the dunes from Windhoek) and it was pretty much the same price. I felt it was a good value for money. The prices of the optional activities were also fair. 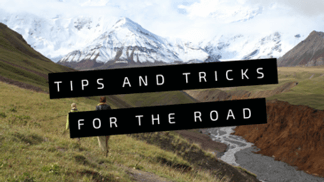 Continue to 10 reasons why you should go overlanding! Lunch during the overlanding trip with Nomad Tours. Copyright Bunch of Backpackers. The quality of the tents and poles. The first day, we really had to search for suitable tents and poles. It was a bit of mess and some were broken. However, once we all found a complete and working set, it was fine. Our guides were fine, but not great. They were friendly, knowledgeable and experienced. However, with both guides I missed the enthusiasm to make the trip truly unforgettable. As a guide, it’s important to contribute to the atmosphere of the trip and this was just so-so. I can’t say, we truly had a fun trip together. They were also making jokes about 1 person in the group and I felt this was completely inappropriate. Minor thing: At the end of the trip, we were asked to review the tour and tour guides, but we had to hand in the forms directly to the tour guides. I think an online form would have been better. 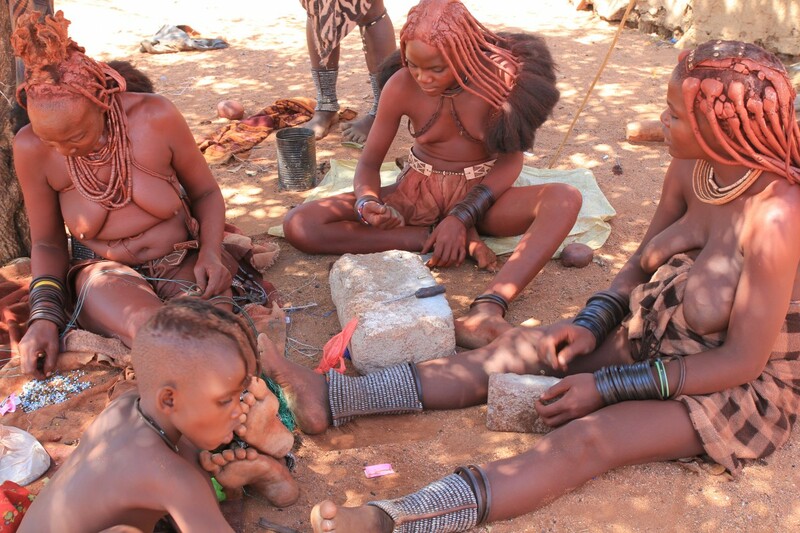 Himba tribe during the overlanding trip with Nomad Tours Namibia Africa. Copyright Bunch of Backpackers. 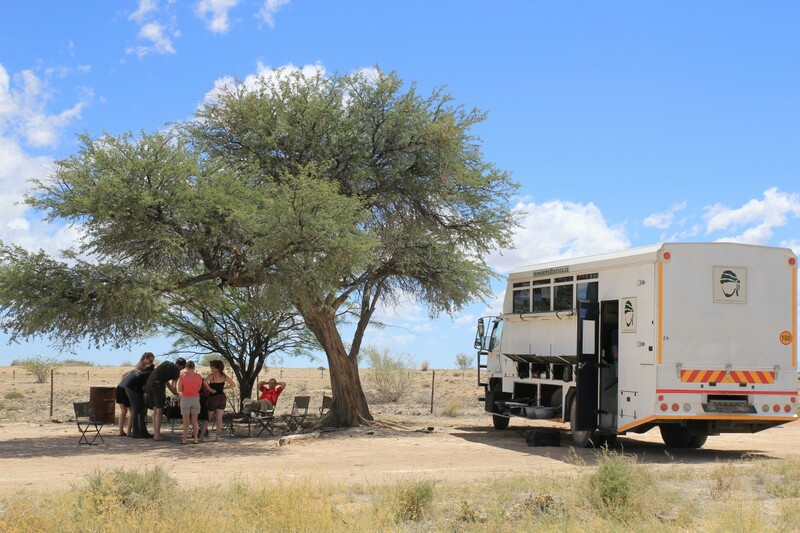 One of the other overlanding companies such as Dragoman, Absolute Africa or Oasis Overlanding. I met an Absolute Africa group in Zimbabwe and they seemed to have a lot of fun together. They were mostly young people. But again, this may differ from group to group. If you’re interested in West Africa there is a company called Overlanding West Africa. I follow this company on Facebook and they offer some pretty cool, adventurous trips. In terms of price and itinerary and visited places, I’m very satisfied! However, I was less enthusiast about the atmosphere during the trip, but obviously many factors influence this. 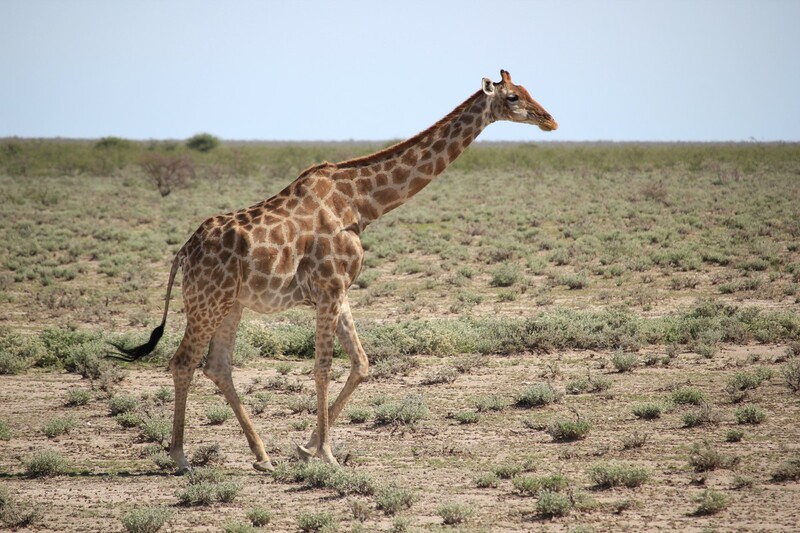 Giraffe at Etosha during the overlanding trip with Nomad Tours Namibia Africa. Copyright Bunch of Backpackers. Disclaimer: I was a regular customer on this Nomads Tour. I did not receive any discounts. As you may know, I always backpack (mostly solo). I still prefer to travel independently, wherever it is possible. However, group tours like this are also pretty cool. 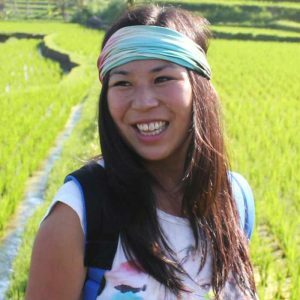 This was my first experience with an overlanding company and my first-ever traditional group tour! Would you go an overlanding adventure? 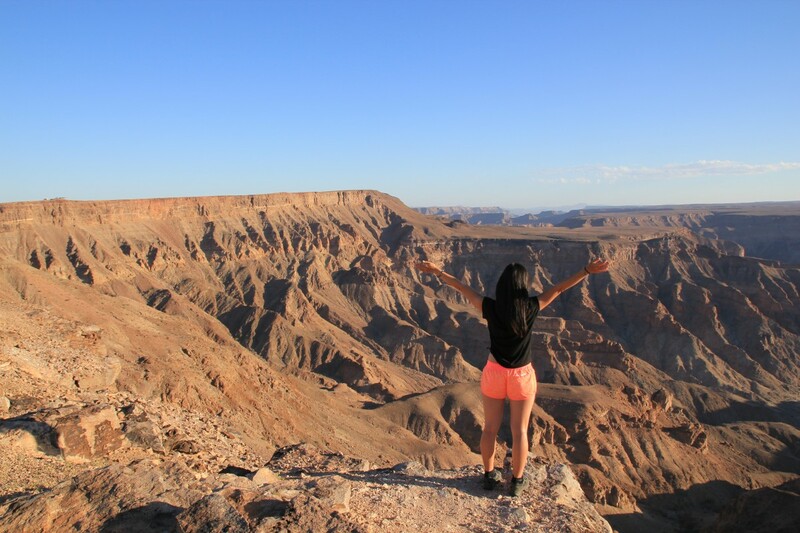 Here are 10 reasons to convince you why you should go overlanding! I especially agree with number 1. 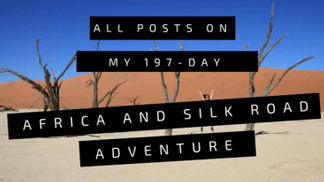 Read more about my Southern Africa backpacking adventure here! Africa is a continent with 54 different countries. You can’t really blanket 54 countries under a statement like that. Like everywhere in the world, there are safe and unsafe areas. 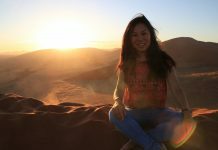 Great article about Africa travels, I got motivated to visit it again!